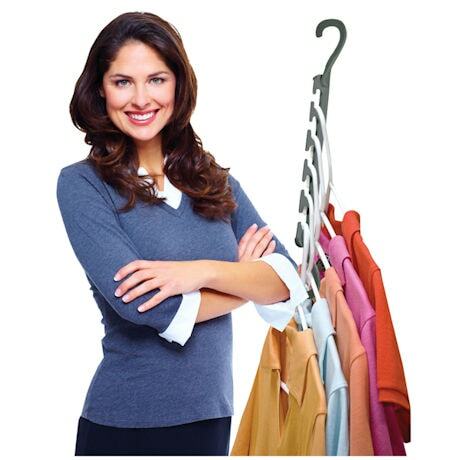 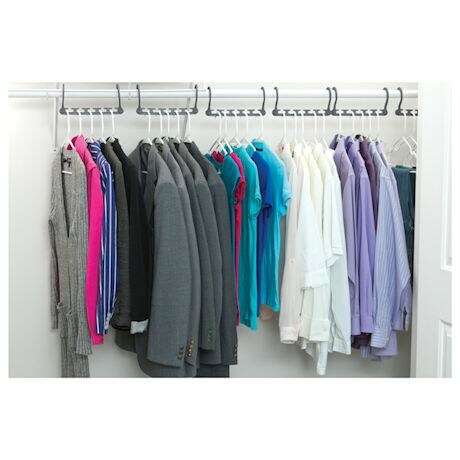 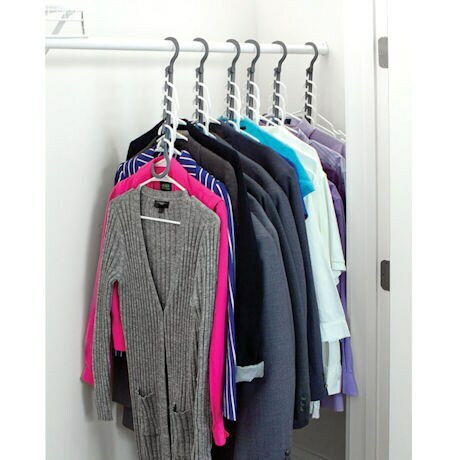 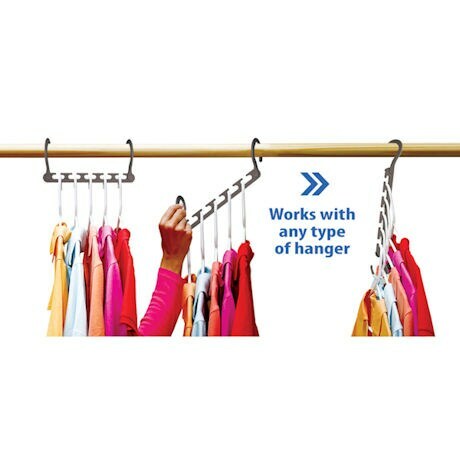 Wonder Hanger Max increases your closet space by 3X while keeping your shirts, pants, and other garments wrinkle free. 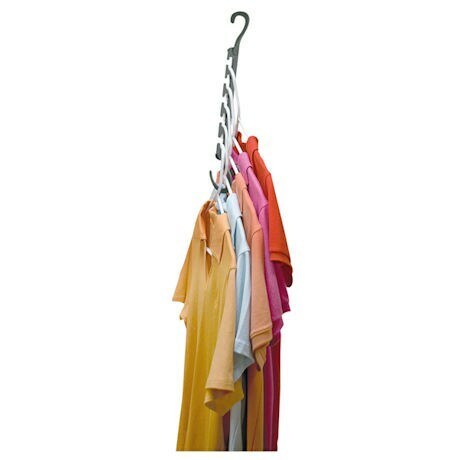 Each hanger in this ten pack, will hold 5 garments — even heavy coats up to a total weight of 30 pounds. 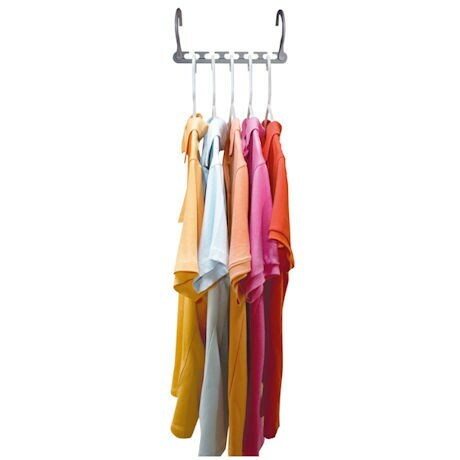 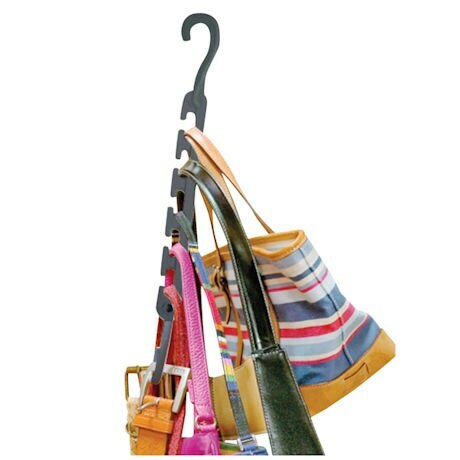 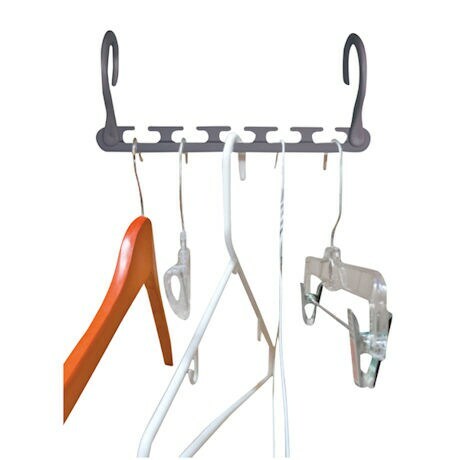 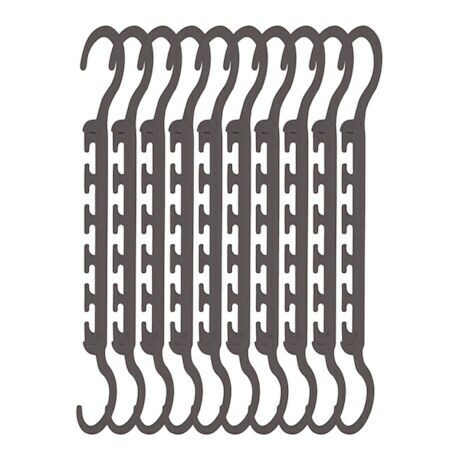 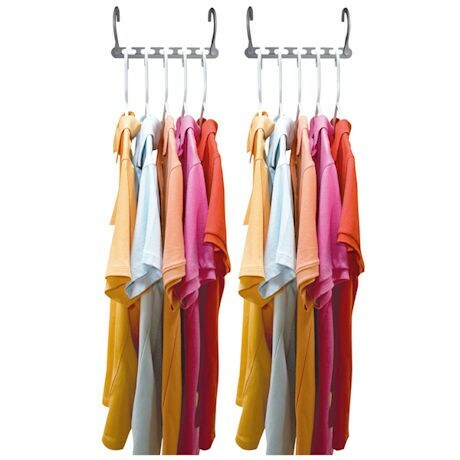 Wonder Hanger Max 10 pack holds up to 50 garments total, but if you hang two garments per slot, you can increase that to 100 garments.